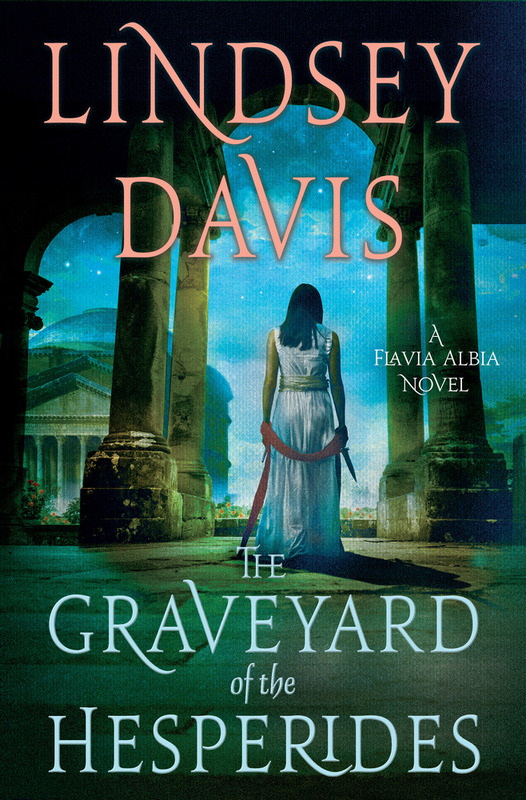 In first century Rome, Flavia Albia, the daughter of Marcus Didius Falco, has taken up her father's former profession as an informer. On a typical day, it's small cases---cheating spouses, employees dipping into the till---but this isn't a typical day. Her beloved, the plebeian Manlius Faustus, has recently moved in and decided that they should get married in a big, showy ceremony as part of beginning a proper domestic life together. Also, his contracting firm has been renovating a rundown dive bar called The Garden of the Hesperides, only to uncover human remains buried in the backyard. There have been rumors for years that the previous owner of the bar, now deceased, killed a bar maid and these are presumably her remains. In the choice between planning a wedding and looking into a crime from long ago, Albia would much rather investigate a possible murder. Or murders, as more and more remains are uncovered, revealing that something truly horrible has been going on at the Hesperides. Everyone knew a dead barmaid was buried in the courtyard. LINDSEY DAVIS is the author of the New York Times bestselling series of historical mysteries featuring Marcus Didius Falco, which started with The Silver Pigs, and the mysteries featuring Falco's daughter, Flavia Albia, which started with The Ides of April. She has also authored a few acclaimed historical novels, including The Course of Honour. She lives in Birmingham, UK.